Kinesiotaping is a specialized taping technique using the KINESIOTAPE, as seen in Olympic and professional Athletes. The Kinesiotape is made to act like your second skin with tensile strength that allows for either facilitation of muscle performance or inhibition of muscle activity. It is highly effective in decreasing pain and swelling. 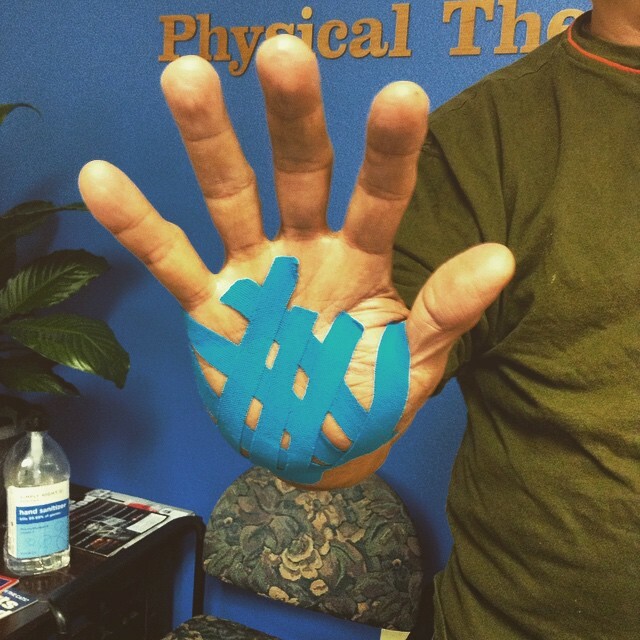 Your therapist will effectively apply the tape specifically according to your goals and condition.